The long and the short. 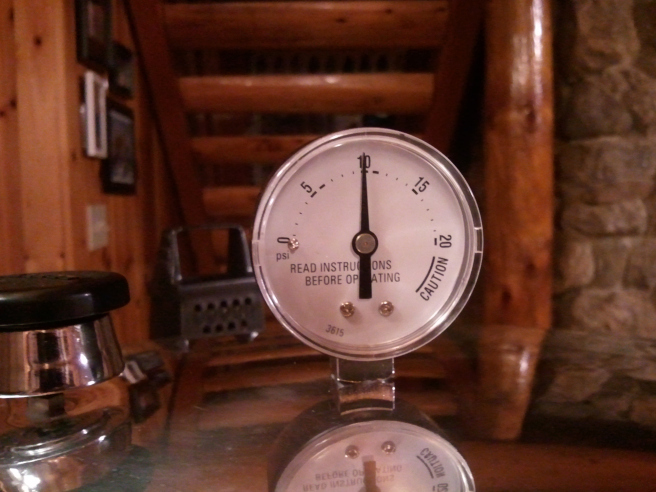 Now that we’ve used the pressure caner, it’s not scary any more. We had ultimate success, with a couple of small failures. I’ll point those out as I run through the pictures step by step. Then I got out the canning jars, lids, rings, and other essential equipment and made sure that all were washed and ready to be used. 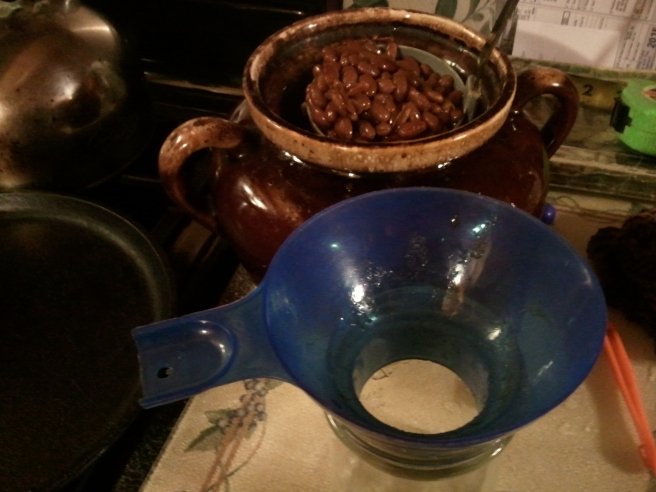 I then filled the jars with hot water in the sink so that the glass was ready to accept hot contents. 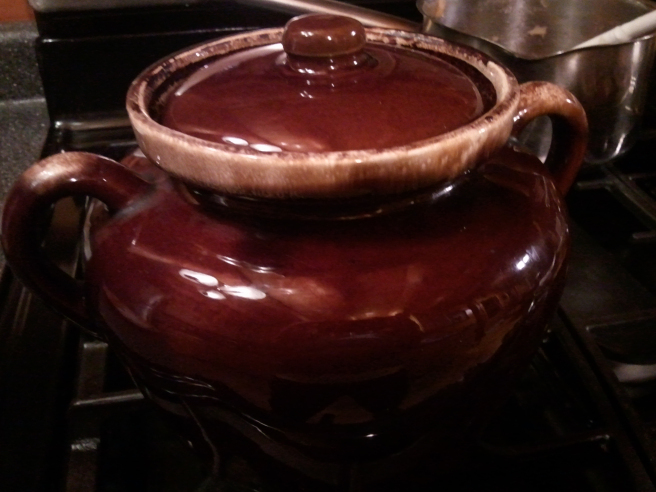 One by one, I put my jars next to the pot so that if I spilled them, I would only get one jar dirty, not all of them. (I learn by doing remember, use your imagination) And with each jar, I used this great little funnel to help guide the contents in. The scary instructions said to make sure that there was 1 inch of space between the contents and the top of jar. So, I measured just to be sure. 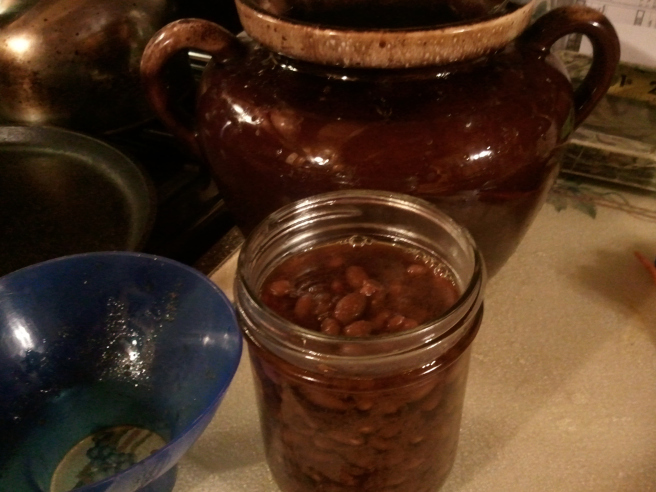 No one wants a glass jar of beans exploding everywhere because there was too much pressure and not enough room for expansion. 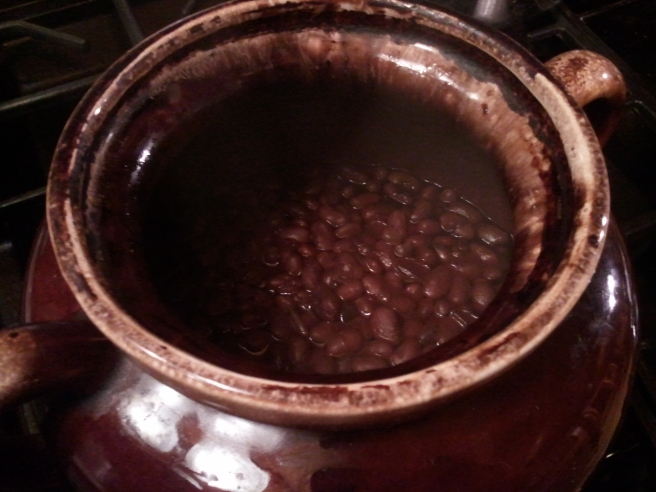 I put 3 quarts of water in the bottom of the caner, per the instructions. (It says to NEVER run out of water in the caner. But you can’t open the caner during the process, so how are you to know. SCARY!!) Put the little rack thing in the bottom and then placed my jars on top with the lids and rings just hand snugged, not too tight. After the pressure had released and it was safe to take off the cover, I removed the jars and set them on a towel on the counter. This is where one failure comes in. 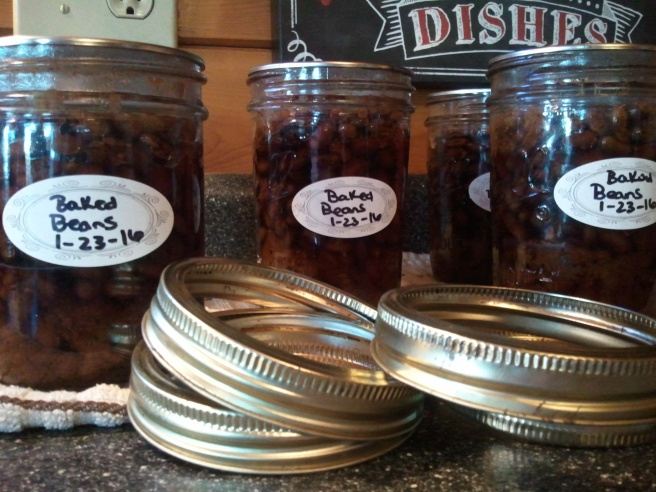 Even though I washed the caner before using, as you can see, there is some really gross film on the outside of the jars. Nasty! So although, it didn’t effect the food inside, I learned that I should have done a better job of washing the brand new caner. Of course as I was washing that “stuff” off the jars. (which came off easily with warm water) I noticed another failure. 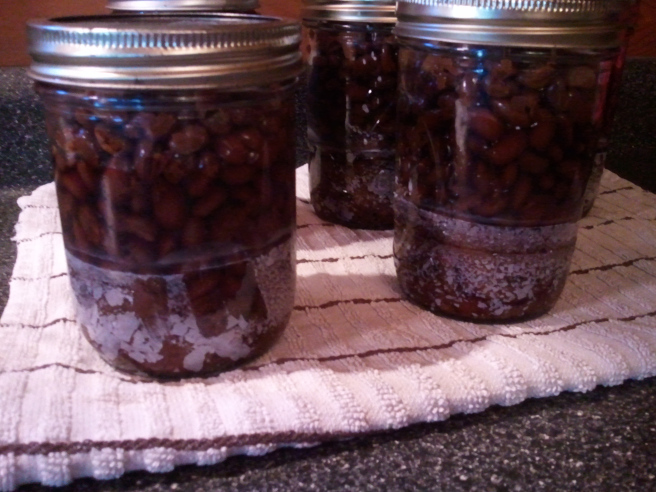 Some of the jars did not have enough liquid in them and the beans are exposed. Apparently all this means is that the ones exposed will change color and be dry. But they are perfectly fine to eat and not harmful in anyway. Whew!! 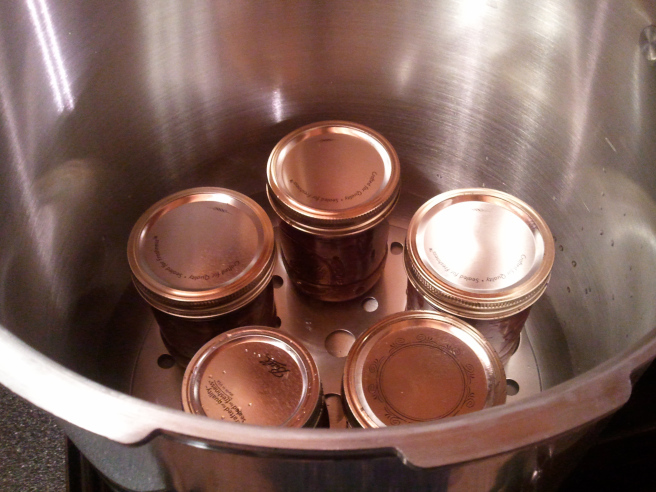 OK, note to e self; next time put more liquid in the jars. 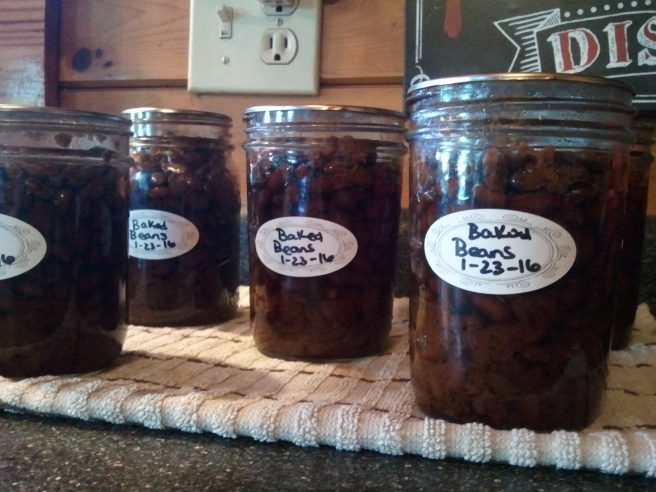 And lastly, I did label the jars with the contents and date. Because no matter how good I think my memory is. (Oh trust me it’s good. Just ask the farmer. wink, wink) Some time in the future I will say to myself, “those are clearly beans, but when did I can those things?” And…I took off the rings and will store them without. The jars stack better, they are not necessary and in fact some say that they should not be stored with them on as they can hold moisture in the bands and cause mold or rust. Some days though, I let my rebellious nature win and I leave them on!! « Fact or Fiction? 10 Common Sayings about Farming De-bunked!